Product prices and availability are accurate as of 2019-04-18 23:37:11 UTC and are subject to change. Any price and availability information displayed on http://www.amazon.com/ at the time of purchase will apply to the purchase of this product. PROTECT WHAT YOU VALUE ? This Sigtuna U-lock model WODAN is made of 16MM High-Performance Steel for Extensive Holding Power and Resistance against Cut and Leverage attacks. With SIGTUNA Locks you really protect what you value! ANTI-THEFT DESIGN ? This Model U-lock has a High Security Disc-Style Cylinder and Double Deadbolt locking mechanism, very effective against Leverage Attacks. DURABLE AND EASY TO USE ? 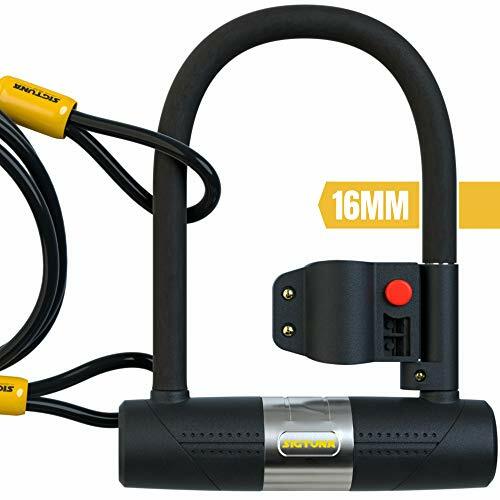 This model SIGTUAN U-lock comes with a Sturdy One-Button Release Mounting Bracket, Protective Vinyl Coating and a Key Hole Cover. 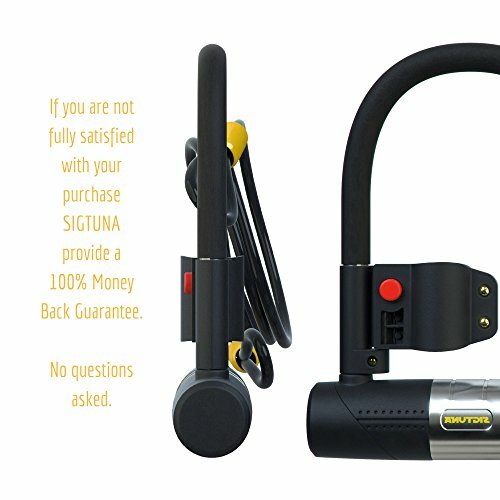 With SIGTUNA your bike is secured Season after Season! 100% SATISFACTION GUARANTEE ? 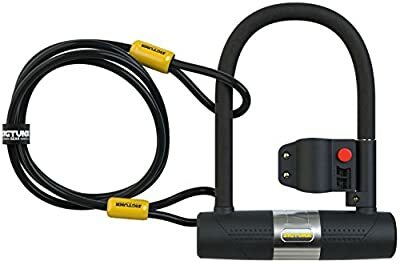 If this U-lock is not the favorite you ever owned - some say it is heavy, that means quality - just return it and get a full refund. Sigtuna Locks stands for its products. Our customers love that, we know you will too! ORDER NOW ?? Want to have tomorrow? Just click "Add to Cart" NOW to get your 16mm SIGTUNA Bike U lock with Flex Cable and enjoy more awesome rides knowing your bike is 100% secured!